Everyone has their favorite part of a wedding. For some, it’s the dress; for some, it’s the kiss; and for some, it’s the food — especially the cake. While we’ll have to wait until Saturday for the first two, you’re in luck if you want to see the cake. 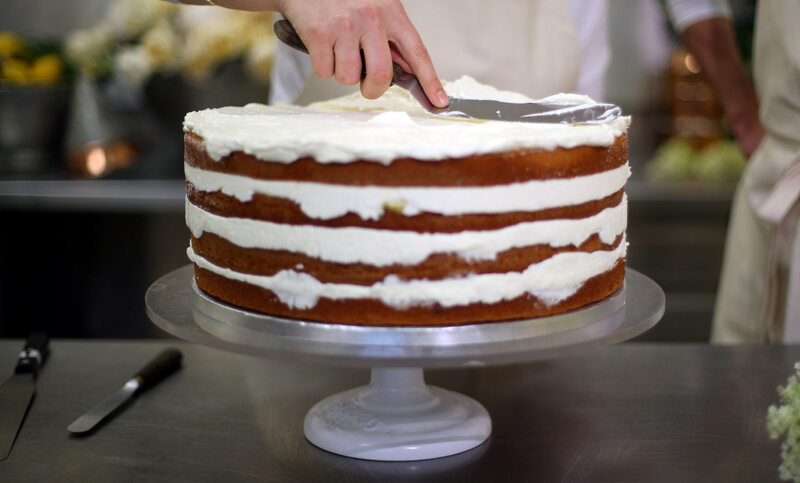 Kensington Palace has just released a brief interview with Claire Ptak, the pastry chef in charge of the cake. Turns out, Ptak has been able to use the royal kitchens for her creations. “We’ve been so lucky to work here at Buckingham Palace to bake the cakes and ice the cakes,” she says in the video. She also confirms again that the cake is a lemon and elderflower flavor, adding that it features an Amalfi lemon curd and an Swiss meringue buttercream frosting with elderflower. Ptak revealed that the cake will be assembled at Windsor Castle tomorrow on location, including adding tons of fresh flowers as decoration. There’s also a post hinting that she’ll be creating tiny cupcakes for street parties thrown for the royal wedding. Anyway, it looks delicious, and now we’re going to be craving cake all day and wondering what we could have done to get an invite.